"Unleashing the human spirit through literacy, narrative, and the power of the Word within us all." There is much research on the value of Social and Emotional Learning in education, not only to young people's self esteem but also to their academic performance. And in Western Australia there are a number of excellent programs available for whole school implementation. And sometimes, with commitment and persistence, these programs yield amazing results. But at other times enthusiasm wanes, or, the energy to even begin just doesn't gather enough momentum. And, moving around schools I know that teachers have a lot on their plate. A new national curriculum is being rolled out. Classroom lessons need to be differentiated to meet the range of abilities and difficulties that exist in the classroom. Much learning and adjustment by teachers is already underway. Learning more in the area of emotional and social development so that they can bring this too to their students may just seem like too much. In my own practice my intention is to be of support to the student and the teacher. I am mindful of not overloading both and of doing my best to make a difference. Sometimes I succeed and sometimes I am 'called' to explore the situation before me with greater depth, so that I may deepen in my understanding of people and how to bring them more easily to learning. Bringing SEL Programs to schools can be a bit like bringing reading to someone who has difficulty with reading. The takeup is hugely variable and the mediators in all cases are (a) the 'feeling' of the 'teacher', and (b) the 'student's' thinking in the moment. Social and Emotional Learning (SEL) Programs are fantastic at bringing explicit language around emotions and social interactions to students. I think this enriches their thinking, particularly when conversations around such issues don't occur in the home, and provides them with more tools to bring to their emotional health and relationships with others. I applaud the many teachers who have immersed themselves in these areas of learning for the benefit of their students. And I ask the question is there a way we can bring the foundations of SEL programs to all classrooms regardless of whether structured programs have been implemented or not. Because the reality is that SEL is being taught in all classrooms, families and social interactions, but perhaps not in the way that we would like. All social interactions, particularly by key people in young people's lives, teach. Whether we are good at being emotionally buoyant or not, good at the subtleties of great social interactions or not, or good at being resilient or not, we are 'teaching' children through modelling and imitation. I see this all the time when I work with students, observe the way their thinking patterns determines their behaviours, and see the obvious parallels with the way of the adults in their lives. Three Principle (3P) Psychology offers an understanding that can potentially change all those 'SEL teachable moments' that occur every day in the classroom and beyond. It offers an understanding that can enable all teachers (and adults) to stay in a good feeling regardless of what is going on around them and to use explicit language that brings awareness of the power of thought, and the nature of feelings to the classroom. It allows everyone to be perceived impersonally, without labels and judgement, as simply being unaware of how they are using thought. It's use has the power to create classrooms of security and safety in which all behaviours are understood as a process in the moment. And it provides direct experience of seeing tense feelings for what they are and the value of creating space in the mind for common sense to surface. http://caeyc.org/main/caeyc/pdfs/conference/handouts/2008/tappininnateresilience.pdf One of it's authors (Roger Mills Ph.D.) worked extensively in what would be regarded as dysfunctional communities and with youth at risk. In Three Principles Psychology, 'dysfunctional' is understood simply as an innocent habit of seeing personal thinking as truth. Whether we are aware of it or not all of us have the capacity to turn instead to thought that naturally flows through us and does flow through us when we allow it be unhindered by our personal thinking. May we all live in 'flow' more - and more about my personal experiences with this in later posts. Welcome to my new blog ... one dedicated to supporting young people wholistically with their learning. Every new venture needs an entry point. I have two! For young people in Rockingham I am offering my services as a specialist tutor (trained with Dyslexia Speld Foundation in Perth) on school premises every Thursday. Dyslexia Speld will provide my name to those parents who have had their child assessed through DSF and parents will need to liaise with their child's school if this is an option they wish to pursue. For those parents not currently associated with DSF you will need to become a member to access my services (about $75 a year) and reap the benefits that come with access to their wonderful resources and expertise. My second start up platform I am building through spacecubed.org. This is a collective workspace and entreprenurial venture located in St George's Terrace Perth. This organisation is an inspiring example of what our young people of all educational backgrounds will bring to the future of our community. I look forward to bringing my realm of future creativity to the collective as well as taking some of what they offer to broader networks. Keep this site posted! Sunday 5 July 2015, 12.30 - 3.30 pm. West Coast Steiner School, Nollamara. 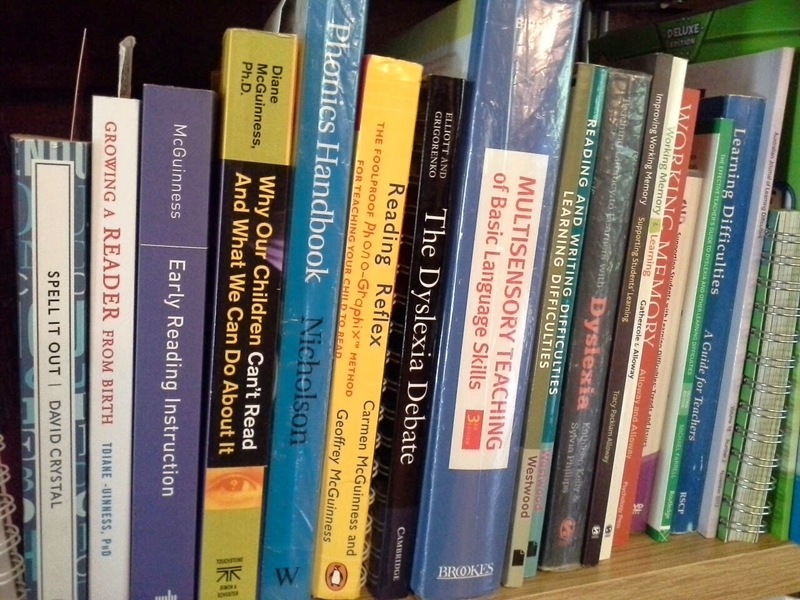 I am a certified Sounds-Write linguistic phonics remediation tutor for students diagnosed with Dyslexia and/or those experiencing significant learning difficulties in reading. Tutoring sessions are provided either in school or in my home for those families who are paid up members with DSF. My current rate is $80 per session. As you can see I love to read ... Sometimes I will post my thoughts about what I have read. This doesn't mean that my thoughts are truth for everyone, they are simply what has come to me in that moment. Maybe a connection is made to something I have seen or experienced, or maybe an insight has simply surfaced. I simply share them, and I know that in the months and years to come, other thoughts will surface which take me beyond what I know now.